There were, to the observant, moments within the twelve minutes he spent sharing a ring with Sefer Seferi, a fighter of conspicuous limitation even to those in attendance for whom perspective had a ‘Columbian’ hue, where the realisation this crusade he’d been on, carried aloft by a high tide of good will, led to a prize ring, that cruelest of judges, appeared an uncomfortably unexpected one. A boxing ring is, as Tyson Fury knows but had perhaps denied to himself, an unforgiving stage. A place where the truth is always exposed, however inconvenient it may be. From the salty, back street Amateur clubs of a thousand childhoods, to the spit and sawdust professional venues around the globe, boxing rings expose all, reveal all and no fighter; whether he be Muhammad Ali in 1980, Joe Louis in 51 or a muscle bound bully in Walsall or Warsaw, can maintain an illusion once the bell tolls. 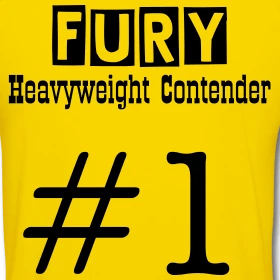 Until now, Fury’s rehabilitation, emotional, physical and in the perception of a public he believed himself to be detached from, has been a courageous one, requiring discipline and determination. He has made believers where there were none and the legend of his ability has become, to some degree mythologised, but more appropriately appreciated. On Saturday, if the wiser heads around him hadn’t already made it plain, the size of the mountain he is seeking to reconquer came into full, proportioned view. In this pantomime return, with an absence of form, Fury resorted to exhibitionism. The type reserved for charity events, or a play acted bout with a young nephew on a wedding night dance floor. He did what snooker’s Alex Higgins would’ve done when ale and boredom had stolen his resolve and genius; present an exaggerated facsimile of his former self. In the absence of his Oscar winning performances of the past, Fury offered the fistic equivalent of DeNiro’s ‘Meet The Fockers’. I have already forgiven him, as I always will Higgins and DeNiro, and the crowd that gathered, as crowds do with unrelenting frequency at boxing shows here in the UK, will forgive him too. They’ll return, once he has shed a little more fatty baggage and dukes it out with an opponent who can look him in the face not the naval. The arc of form, discipline and momentum that led him to the summit once will arguably be harder to replicate than even it was to produce originally and that truth, if it was disguised beneath the platitudes and bon homie before, is now explicitly evident to all. And the ashen expression that flickered between the gurning he did for the cameras and crowd that gathered on Saturday illustrated its now evident to the man himself too.